In the Display options of the Popup Maker Dashboard, there&apos;s Trigger Configuration option, where you can select the pages to show the popup. You can select the popup to show on "**All pages**" or "Some pages. 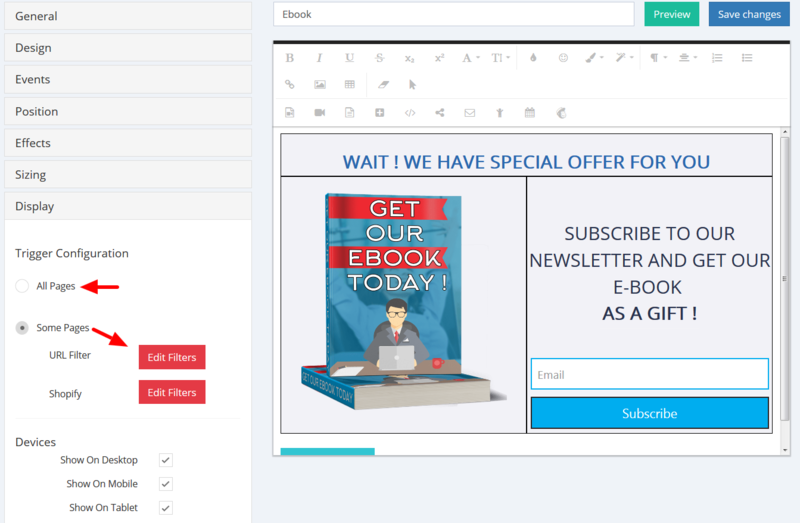 Simply select the option "**All pages**" to display the popup on all the pages on your site. For "**Some pages**" you can edit URL filters to show the popup by specific filter types: Equals, Contains or Starts with. 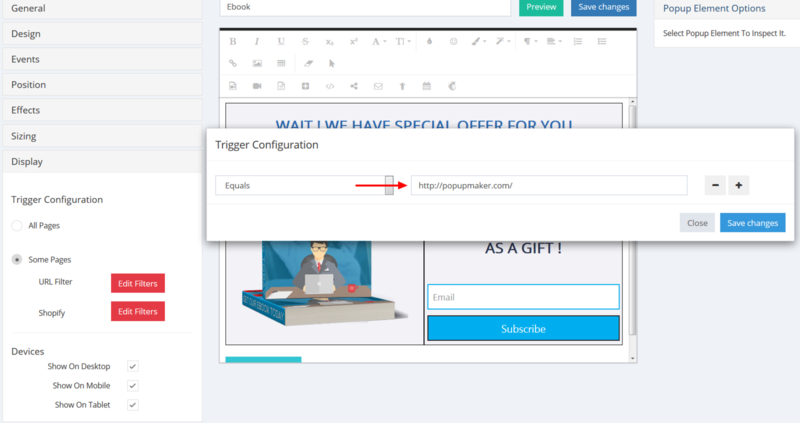 Also, you can select your Shopify pages to show the popup, for more info check the following article, please: How to Connect Popup Maker to Your Shopify Store? 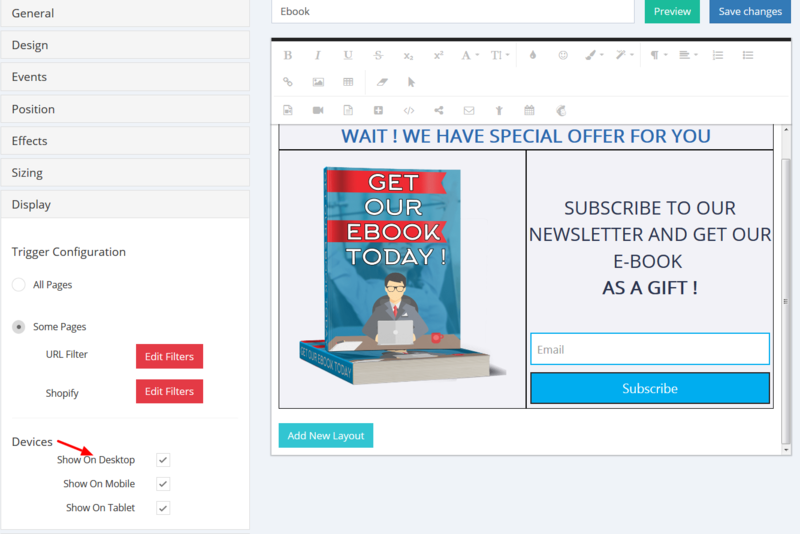 Equals - Enter the whole URL of the page to show the popup on. Contains - Add a keyword of the URLs that contain this keyword to show the popup on. This means, the popup will be shown on all URLs containing "popup" in the link. 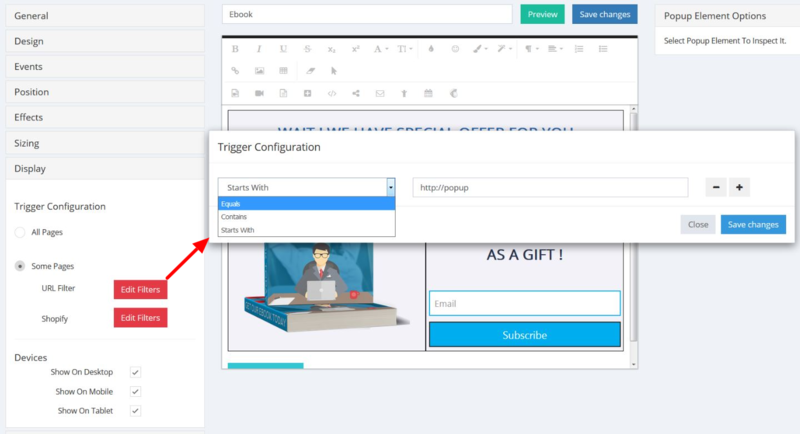 Starts with - Add a piece of the URL, and the popup will be shown on all the pages starting with that piece of URL. Devices - Simply check (or uncheck) the devices on which you want to show or hide the popup.